The Centro Storico is the historical center of an Italian city. Here's where you want to spend lots of time. In larger cities or towns there may be a centro, the main shopping area which is usually more modern, and the older centro storico, where you'll find the sights. Much of a centro storico is often a pedestrian zone or limited traffic zone and only cars with special permits are allowed to drive there. When you are near the centro, look carefully for signs designating a ZTL (zona traffico limitato or limited traffic zone), restricted entrance during posted hours, or a pedestrian zone (picture of a person walking). Find out more in Tips for Driving in Italy. Parking is often limited or restricted in the centro storico also, even when you can enter with your car. Look for a parking lot near the centro storico and walk from there. Many railway stations are located on the edge of the Centro Storico or within walking distance. There will likely be signs to it from the train station or if it's not very close, there will be a connecting bus that leaves from near the station. A majority of buildings in a Centro Storico will be from the late medieval or Renaissance period, but may be interspersed with bits of Roman architecture (as in Rome) or even massive Etruscan walls (as in Perugia). The Centro Storico may be entirely bound by ancient walls that still exist today, as in Lucca. The cathedral or duomo is often in the historic center or just on its edge. There's usually a big piazza, or square, in front of the cathedral that may have a fountain or statues. 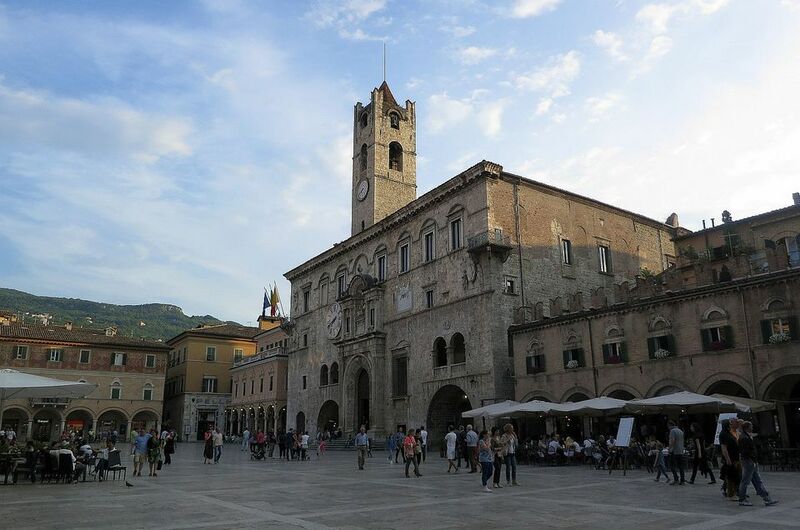 The town hall is also often in the historical center, especially if it's in an older building, and it may also have a big piazza in front of it. One of these squares is probably the main square. There will usually be a bar or cafe on the main square and often a few shops or a restaurant as well. There will be other churches and small squares in the center, monumental mansions, and usually some museums. Sometimes a castle may be in or near the centro storico, too. Many towns have a covered or outdoor market in the center. Festivals and outdoor summer music concerts are often held in the historic center too. The historic center is a good place to spend a little time just wandering around, looking at the old architecture. Visiting the centro storico is one of the top free things to do in Italy.